Oppo F5 is company's latest smartphone F Series. Oppo F5 comes with a 20MP front-facing camera and runs on Color OS 3.2 based on Android 7.1.1 Nougat. Here are Tips, Tricks, Pros & cons of Oppo F5 Smartphone. Some Tips Tricks will be similar to other oppo Phones which runs on Android Marshmallow or older. 1)How to enable Battery Percentage? 2) How to Enable Network Speed? 3) How to Show Carrier Info? 4) How to Enable Hotspot? 5)How to change font size? 6) How to Customize LockScreen Magzine & Wallpaper? A) Go to Settings - Display & Brightness - Enable Lockscreen magazine which let you select photos or change the wallpaper. 7)How to use Night Shield? 8) How to enable Vibrate on Ring or Silent? 9)How to Enable Fingerprint Scanner or Face Unlock? 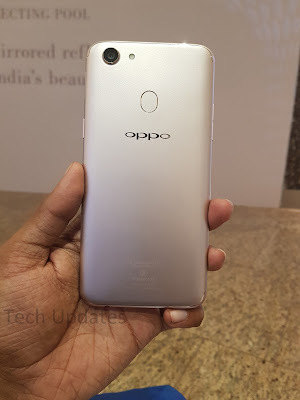 10) How to Lock Apps on Oppo F5? A) Go to Settings -Security- App locks which let you choose which app to lock or not can be unlocked with Passcode or Fingerprint Scanner. 11) How to enable Power Saving mode? A) Go to Settings - Battery -Enable Power Saving mode, You can Also enable from the Notification panel. 12) How to Change Navigation Keys? 13) How to Backup & Reset? 14) How to use Dual Apps? How to Use OTG on Oppo F5?